Enjoy the Isola Bella Marine Park Taormina in all comfort and luxury. Sea Spirit, in cooperation with Pizzichella, offers scuba diving with a private dive instructor from one of the deluxe yachts from Pizzichella. Starting in the morning, you will be welcomed on board by the skipper, his crew and your dive instructor. 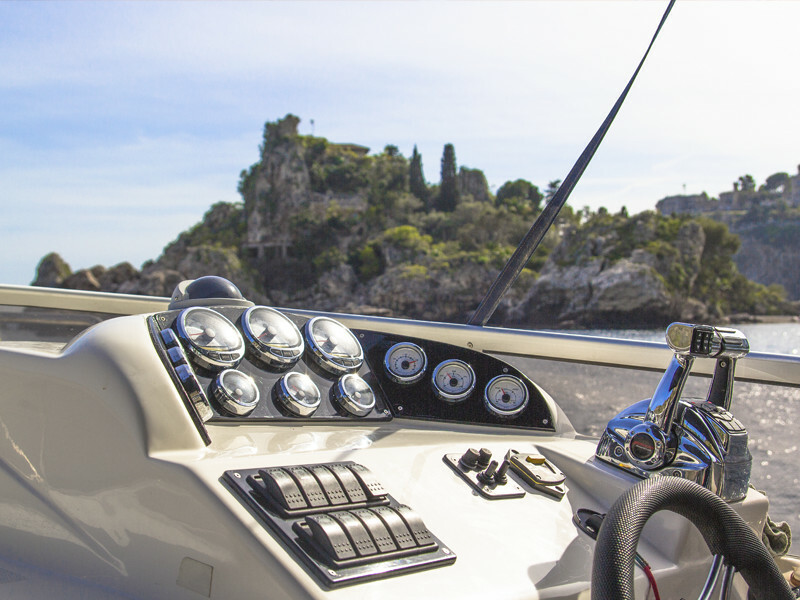 Enjoying the view of Isola Bella from the yacht, your private instructor will brief you on the first divespot which can range from the beautiful swim throughs of Isola Bella South to the archaeological spot of the Greek Columns. All of your choice. After the first dive, you can enjoy the surface interval lounging in the sun and enjoying the view of the Mediterranean Sea. Your instructor will then brief on your second dive spot, again of your choosing. In the meantime the boat will bring you to the second spot. To end the perfect morning of diving, a delicious lunch courtesy of Pizzichella will be served on board. 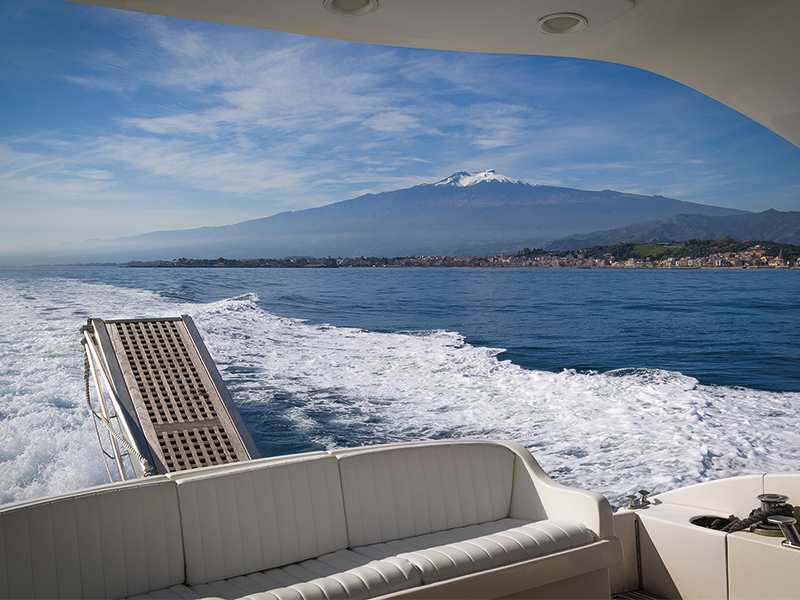 It’s also possible to stay the afternoon on board, relaxing and enjoying the sun, ending the day with a dinner at the renowned restaurant of Pizzichella. 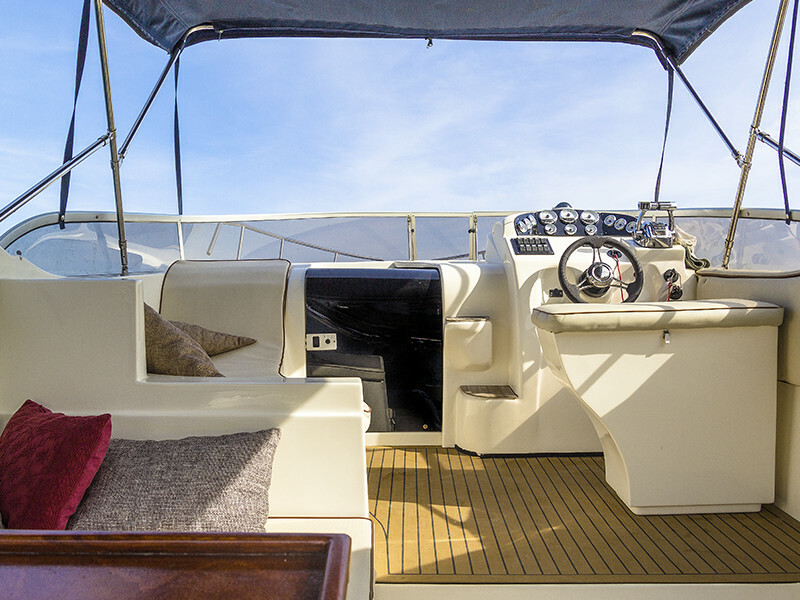 You have a choice of two boats, Coverline Sport 35 and Chorum 54. 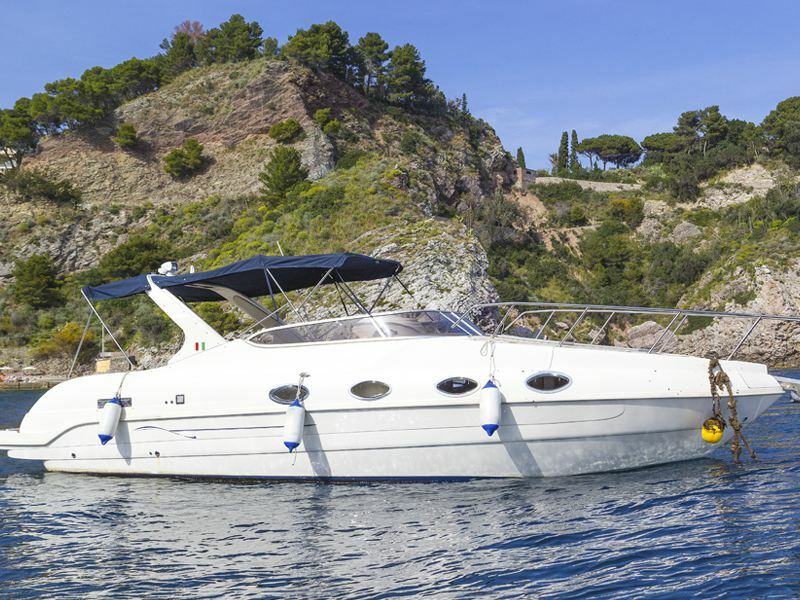 The Coverline Sport is a luxurious boat of almost 11 meters equipped with a large double bed at the bow, plus another room with 2 comfortable beds. 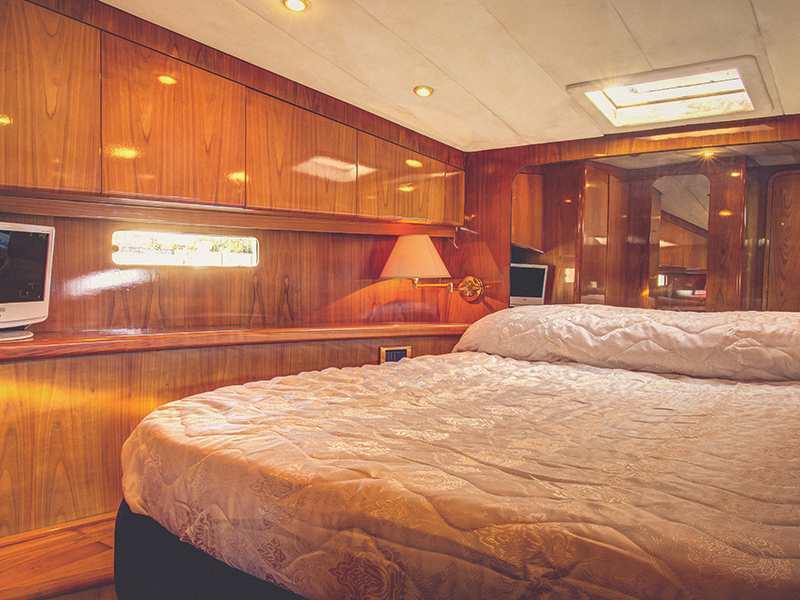 The cabin has a lot of comfort including a kitchen, TV and fridge, bathroom with shower, a large sunbathing area on the bow and stern, external shower. The two powerful 270CV engines will allow you to move freely without any navigational limit. The Chorum 54, 18 meters long, is an innovative and revolutionary boat with a beautiful visual impact for its aerodynamic and futuristic lines. 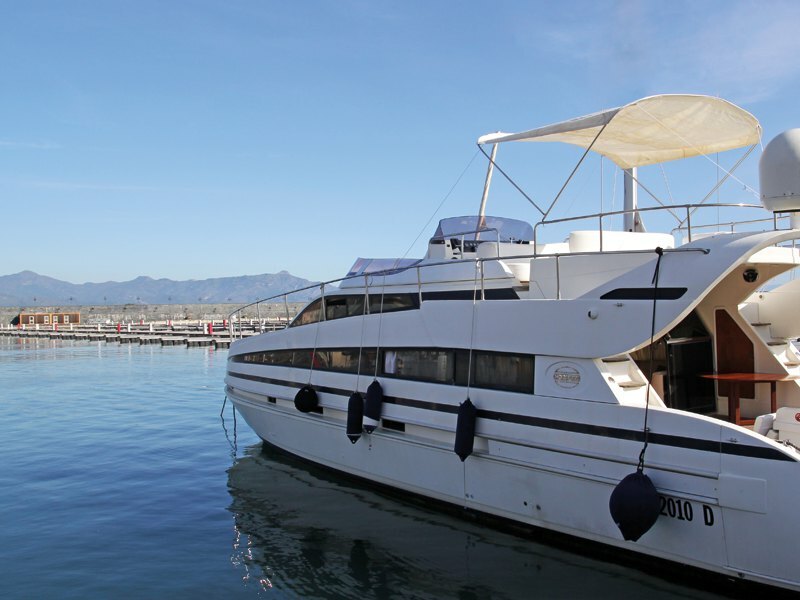 Thanks to its excellent performance and excellent sea-lining, it is the ideal choice for those who love the sea without sacrificing comfort and luxury. The innovations also touch all the interior spaces: the double banquet lounge with U-shaped dinette; three cabins with three private bathrooms and two of these showers enclosures in a beautiful wooden cabinet with full closing doors. The kitchen is very large, with ceramic hob, large granite worktop, fridge/freezer. 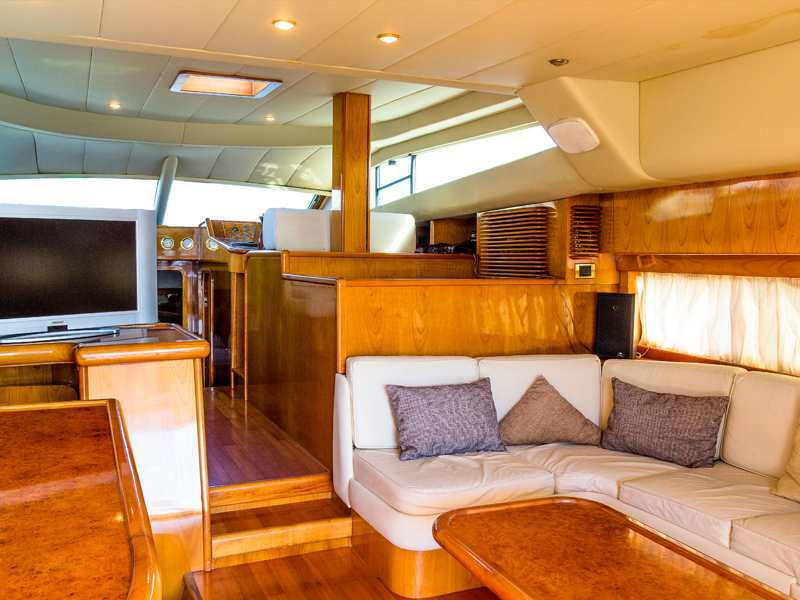 Outside, the Chorum 54 offers a gangway and two bath ladders, large sundecks on the bow and on the flydeck, a dinette with double divan on the fly bridge.